Wise Owl Glucosamine is highly bioavailable and its absorption level is considered to be up to 98%. Glucosamine helps to speed up the repair and renewal of damaged or worn articulating cartilage. 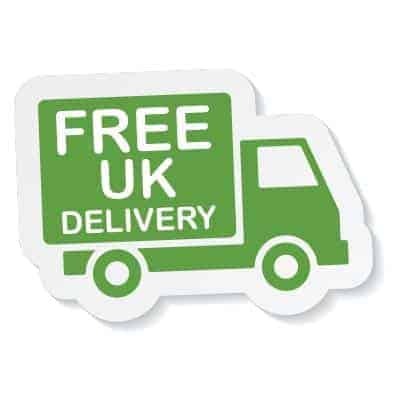 2 capsules taken daily should give you 1 month’s supply. As the body ages it cannot produce enough glucosamine to keep up the rate of repair & renewal necessary. Wise Owl's Glucosamine provides additional glucosamine, which helps to speed up the repair and renewal of damaged or worn articulating cartilage. Glucosamine is considered to play an important role in many conditions, but it is probably best known for its healing properties for osteoarthritis. 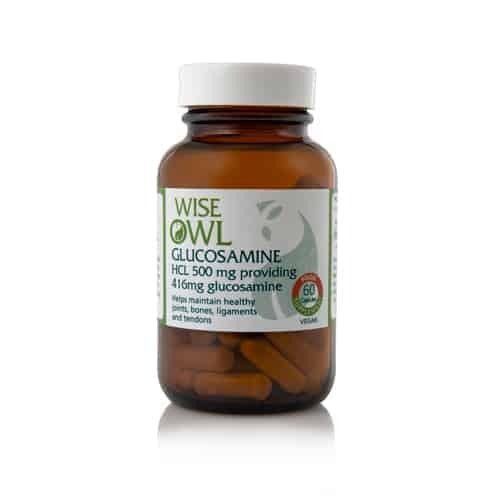 Wise Owl Glucosamine is highly bioavailable & its absorption level is considered to be up to 98%. Made as capsules using pure ingredients and vegetarian capsules avoiding the use of excipients. Glucosamine is a natural compound found in the human body, specifically an amino monosaccharide (a nitrogen-containing sugar). It is used by the body as one of the building blocks of cartilage It is thought to possibly play a role in cartilage formation and repair and to perhaps have an anti-inflammatory affect within humans. As the body ages it cannot produce enough glucosamine to keep up the rate of repair and renewal necessary. Wise Owl Glucosamine HCL 500 mg provides 416mg additional Glucosamine which may help to speed up the repair and renewal of damaged or worn articulating cartilage. Why might you choose to take Wise Owl Glucosamine? It may help to relieve osteoarthritis pain. It may assist in rehabilitating the damage to cartilage. It has been shown to be effective in slowing down the deterioration of cartilage. It plays a key role in stimulating the production of proteoglycans, glycosaminoglycans and synovial fluid. It may help with improving mobility. It may assist with articular joint pain relief. Wise Owl Glucosamine is highly bioavailable and its absorption level is considered to be up to 98%. Made as capsules, suitable for vegetarians, using pure ingredients and avoiding the use of excipients. Recommended Intake: Adults - 2 capsules daily as a food supplement or as directed by a practitioner. Suitable for: Vegetarians and Vegans and for people with Candida and yeast sensitivities. Not suitable for: Pregnant or lactating women. Ingredients: Vegan-source glucosamine hydrochloride (from aspergillus niger), capsules shell: vegetable cellulose.